Iconic gangster Joaquín “El Chapo” Guzmán Loera tried to use the Hells Angels to kill a real estate agent in Canada, testified a former accomplice in the ongoing trial somewhere in Brooklyn. 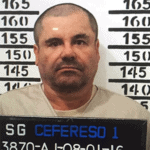 The former leader of the Sinaloa drug cartel and one of Mexico’s most notorious drug lords, Guzmán was extradited to the U.S. shortly after escaping a maximum-security prison in Mexico in 2015. Charged with 17 criminal counts, including drug trafficking, conspiring to murder rivals, money laundering and weapons offenses, the trial, which has been under way since November at an undisclosed location in Brooklyn, New York, is drawing incredible attention from tourists, media and crime experts alike. Each week, new movie-worthy evidence about Guzmán’s reach across the continent comes out of the Brooklyn courtroom. 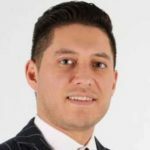 Last week, former accomplice and Guzmán right-hand man Hildebrando Alexander Cifuentes-Villa testified that the drug lord tried to kill a Canadian real estate agent with whom he had worked with to traffic drugs. Stephen Tello, as first reported by Canada’s National Post, is a former real estate agent and Concordia student from Montreal whom Guzmán had nicknamed “Catboy.” He’s been in prison since the police caught him in a 2015 drug sting unrelated to Guzmán’s operation. Cifuentes-Villa testified that, for a while, Tello was one of Guzmán’s main sources for bringing cocaine, heroin and crystal meth into Canada. Cifuentes-Villa said that he would work with Tello to arrange the flow of drugs from Mexico to Canada by working with various distributors and arranging passages through cargo trucks and boats. But over time, the notoriously paranoid Guzmán grew suspicious that Tello was mishandling the funds they made from the drugs and started hatching plans to take him out, a common theme in Guzmán’s business dealings. After Tello refused an invitation to travel to Mexico, Guzmán tasked Cifuentes-Villa with killing Tello. “So what we [Cifuentes-Villa and Guzmán] did was to ask my wife Valentina for the favor,” Cifuentes-Villa testified in the court records obtained by the National Post. Cifuentes-Villa said he was already arranging Tello’s murder with the biker gang Hells Angels when plans were interrupted by Cifuentes-Villa’s arrest in a drug raid at the end of 2013. As a result, Tello was able to evade getting murdered by the Hells Angels. However, after being arrested in 2015 in a drug ring with an undercover cop, he is serving a 15-year prison sentence for his role in an international drug ring.